Matt Bowles is the co-founder of Maverick Investors Group, which helps real estate investors buy performing rental properties in the best real estate markets regardless of where they live. They offer a very interesting investment strategy where you get to own a property without being physically present. On this episode, he talks about the advantages of owning hard assets over investing on paper assets. He explains the process of buying properties, assessing income, and closing contracts. He also explains the management and maintenance set-up and how the net operating income is calculated. He also gives away tips for real estate investors in order to succeed in this investment venture. Listen to ILAB 77 on iTunes here or subscribe on your favorite podcast app. 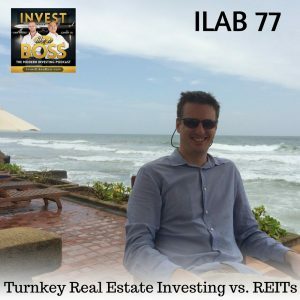 2:03 – What is Turnkey Real Estate Investing? 37:56 – How to close contracts? 39:55 – How much income for mortgaged properties?